More than 400 years after his death, Maharana Pratap remains a revered hero for millions, an exemplar of Rajput (and, by extension, Hindu) pride for India’s right-wing politicians, and a figure of fascination for historians. His continuing currency in 21st-century India is evident not only from his reincarnation in TV serials, songs and poems, but also from the academic controversy around his military exploits, which flared up as recently as last year. In July 2017, the history department of Rajasthan University stirred up a furious debate when it recommended a book to its postgraduate students, presenting them with a contested version of the outcome of the Battle of Haldighati in 1556. Chandra Shekar Sharma’s Rashtra Ratan Maharana Pratap claimed that Pratap, the 16th-century ruler of Mewar, had won the battle against the Mughal emperor Akbar, contrary to the long-standing wisdom that the latter had defeated the Rajputs. Earlier this year, Yogi Adityanath, the chief minister of Uttar Pradesh, building on the same theme, held up Pratap as an icon of moral uprightness at a function organized by the Rashtriya Swayamsevak Sangh. Praising him for standing up to the supremacy of Akbar, the firebrand leader of the ruling Bharatiya Janata Party thundered that the Rajput leader’s uncompromising resilience during the war proves that it was he who was “great"—and not the Mughal ruler. 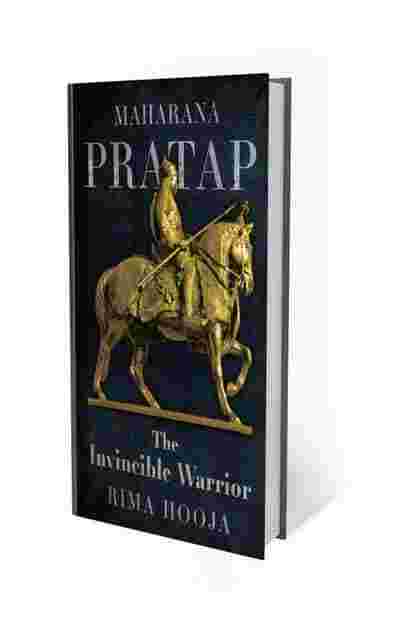 The reality, as historian and archaeologist Rima Hooja shows in her book, Maharana Pratap: The Invincible Warrior, was far more complicated to allow for such pat, self-serving appropriation. In the chapter on Haldighati, which comes well into the book, Hooja concurs with the middle path: “both sides claimed victory" but no one emerged as the decisive winner, she argues. While Akbar’s army, led by Raja Man Singh, was left in control of Mewar, Pratap and his men fled into the surrounding forests, refusing to surrender. The typical Rajput code of accepting defeat involved committing shaka by the men (who fought unto death) and jauhar by the women and children (who immolated themselves to escape dishonour at the hands of the conquering enemy). None of these rituals was followed at the end of the Battle of Haldighati. As the 20th-century scholar Kesri Singh wrote, “...for the Emperor’s army no victory was ever more like defeat; for Mewar, no retreat ever more glorious." Hooja, an authority on Rajasthani history, traces Pratap’s story back to the reign of his father Udai Singh II. Although the firstborn among 25 brothers and 20 sisters, Pratap was never the nominee to the throne, which was reserved for Prince Jagmal, son of Udai Singh’s favourite wife, the queen of the Bhattyani clan, Dheer Bai. But the people had other plans. In a spectacular show of allegiance, which was part of “early Rajput polity", the crown prince was physically removed soon after his coronation and Pratap was made the ruler of Mewar. “When the chips were down, Pratap moved from one place to the other, living among the people, endearing himself to them," Hooja adds on the phone. His clout with the masses paid off. The rulers of Mewar especially enjoyed the support of the neighbouring tribal Bhil community. The royals believed they drew their ancestry from Guhaditya (so called because he dwelled in the caves), who wrested land from the Bhils and established his own kingdom circa 568 AD. The Rajput’s links with the Bhil, however, remained unbroken for centuries. Bhil chieftains were intimately involved in the coronation ceremony of Rajput rulers even 1,000 years later. “They often drew the tika on the king’s forehead with their own blood," says Hooja. The tribes, not considered a part of the caste system, became Pratap’s refuge when he was forced by circumstances to flee. The leader’s life of exile amplified his contact with his subjects, enriching the repertoire of stories about his nobility, generosity and courage that grew with the years, and circulate in the public domain to this day. “My father was posted to Chittor for his job in the mid-1960s," says Hooja. As a 10-year-old girl, she spent her days visiting the fort with her parents or driving around the area in a jeep with them. At the time, her older brother was reading James Tod, a scholar and officer of the British East India Company, renowned for his compendious Annals And Antiquities Of Rajasthan (1829-32). Listening to her brother read out from Tod and to the legends told by the locals inherited through generations of “accumulated knowledge", while seeing the ruins and monuments across the state with her own eyes, became Hooja’s first lessons in history. In an earlier work, Rajasthani Stories Retold (2016), Hooja had revisited tales from oral traditions and written testimonies straddling mythology and folklore, presenting them, at times, in a lightly fictional garb. In contrast, Maharana Pratap remains stolidly historical, often at the expense of narrative flair. Its scholarly apparatus is, however, enlivened by sporadic references to the copious literary culture of the courts that often put a charming spin to recorded history. Apart from singing the praises of their patrons and celebrating their lives, the bards retold tales from the epics, writes Hooja, “with the lines between recent history and handed-down traditions blurred enough to collapse time into a strange continuum of past and present". Genealogies were linked back to epic heroes, instilling a “chivalric code" in generations of Rajput princes. Maharana Pratap’s princely conduct, for instance, was such that it was praised far and wide, even by those from the enemy camp. For instance, poet Abdul Rahim Khan-i-Khana, one of the nine jewels of Akbar’s court, wrote the stanza that became Mewar’s motto: “God protects those who remain steadfast in upholding righteousness and Dharma". The dharma, or correct action, he referred to, involved an incident where Pratap’s eldest son, Amar Singh, had captured the women and children of the Khan-i-Khana family while they were travelling between Ajmer and Sirohi. On learning that non-combatant family members were being held hostage, Pratap admonished his son to return them with due honours. As news of his death in 1597 reached Akbar’s court, the Charan poet Dursa Adha rose up and spontaneously recited a eulogy, which left the emperor “tongue-tied" with sorrow: Now as the Badshah learns of your passing/He does not rejoice./Behold all, see how he has fallen in deep silence. The nobility of such gestures among arch rivals is perhaps unfathomable in our times, especially to those fighting political battles, using historical distortion as cannon fodder.